For the few people out there that actually look at my blog, I thought I'd point you in another "blog" direction. Over on the Lil Red Cottage Blog I've been posting the some fun, inexpensive gift ideas for the holidays. Hopefully when it's done I will have posted 12 ideas you might find useful. 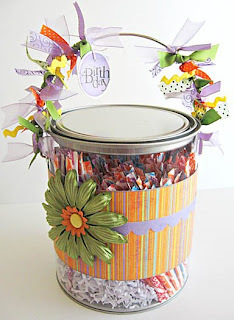 I had so much fun making this for my good friend Andrea's birthday that I thought I'd share it on my blog as well. I've received one of these cute clear paint cans from my friend Janet that I ran out and bought me some of theme to make up myself. But they they just sat there for months and months. But I need something that would hold 3 packages of Pixie Sticks for Andrea (her favorite treat) and how cute did this turn out. I almost didn't give it to her because I loved it so much...but I think she liked it as well. My daughter is planning her yearly Halloween Party. Last year I helped her plan a "Witches Brew Party" and we all dressed up and had tons of fun. But this year, she decided she could coordinate it herself and with her cute friend from school (who thankfully is hosting the party at her house). Anyway, Emma has been coming up with Games for the party, Party Favors and Craft projects. 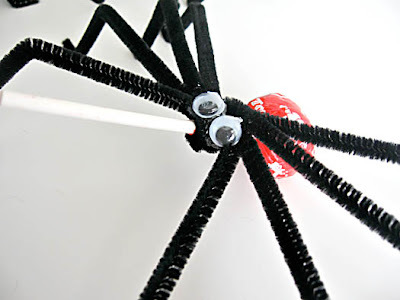 These spiders are some of the party favors she'll be giving out to the 8 party guest that will be attending. Aren't they cute. She found the idea on the internet and all you have to do is wrap the pipe cleaners around the sucker and glue the googly eyes on to them. 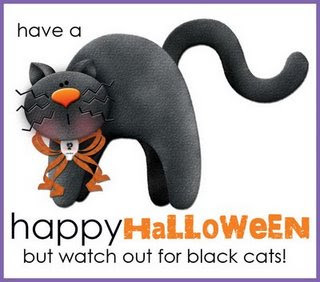 Too cute not to share!! Die Hard Obsession with Twilight! I couldn't resist taking a picture of Emma after she fell asleep on the couch tonight. 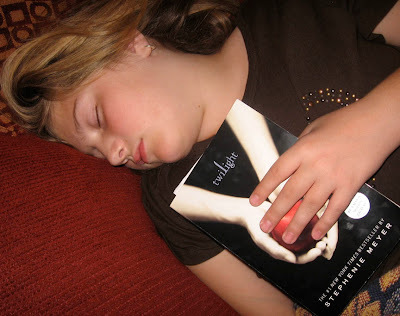 She's so excited to be reading Twilight. Which is sort of weird, because she read Breaking Dawn with me this past summer...yes she read the 4th book before the 1st.